Stephen won his choice of $200 gift certificate with Bluewater Photo or Bluewater Travel! 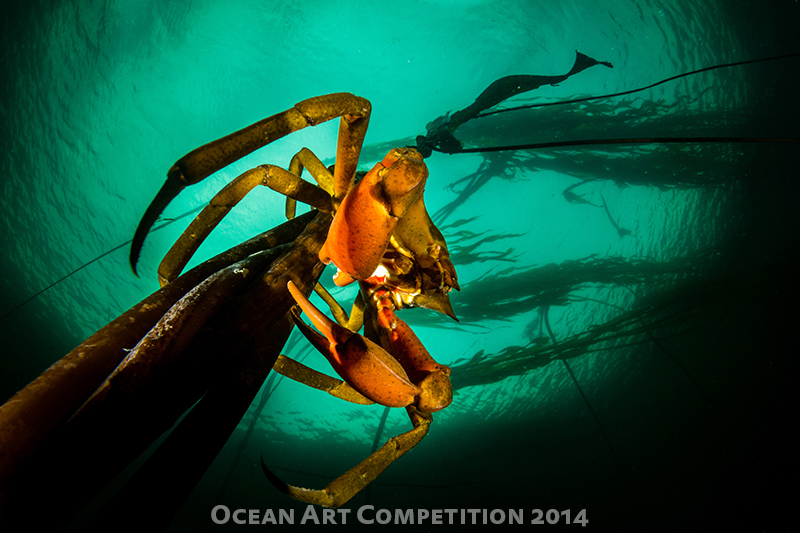 The story: During a week diving at God's Pocket Resort, I had been looking for kelp crabs to photograph. On nearly the last dive of the trip, I was fortunate enough to find this cooperate individual and spent my entire safety stop, and then some, taking pictures until I had the strobes positioned just to illuminate the crab, and as little else as possible. Location: Browning Pass, British Columbia, Canada. Camera: Sony RX100, Ikelite housing, UWL-04 fisheye lens, dual Sea & Sea YS_D1 strobes.